The Ellen DeGeneres Words Bath Ensemble says it all. 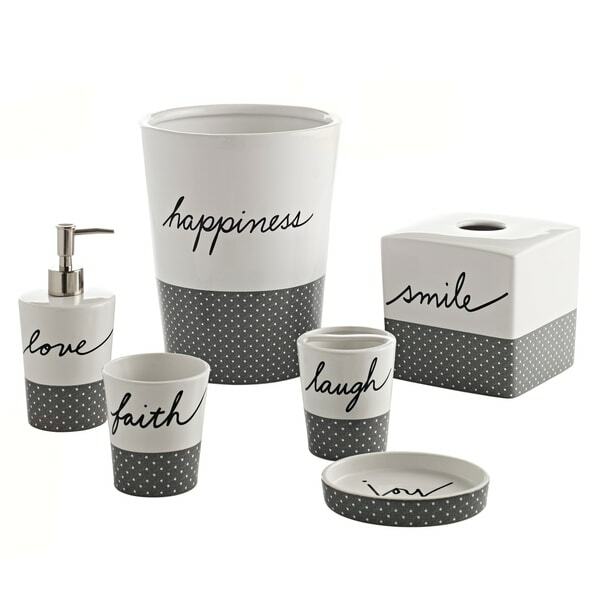 The Words bath ensemble are made from glazed porcelain and features Ellen’s signature words in black on a white ground with a cheerful grey and white polka dot design. Each bath accessory features a different motif. Pair these items together and purchase the full set for a new fun bath environment.